Brass constructed twist action ballpoint with capacitive soft-touch stylus. Pearl white barrel with colored pro-grip for comfort. 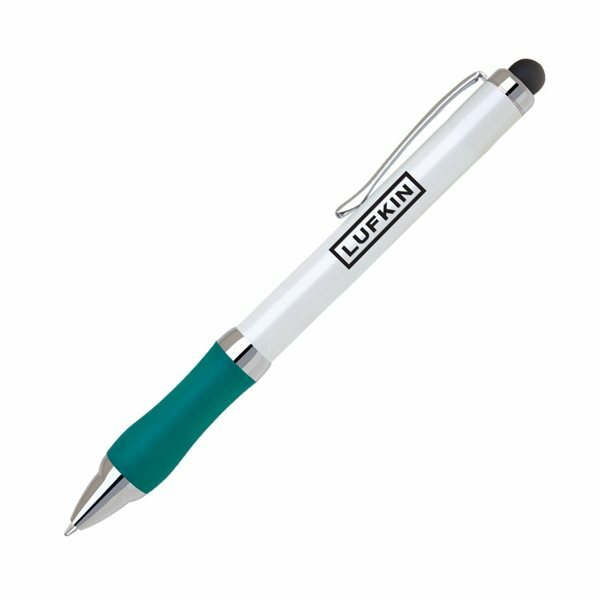 Capacitive soft touch stylus is fully compatible with all touch screens. I purchased them again this season. It created an awareness about my business and brought new customers in instantly! The quality from the product was good. Product was exactly what we were looking. The service was great since the delivery was expedited. We're very happy. Thanks.